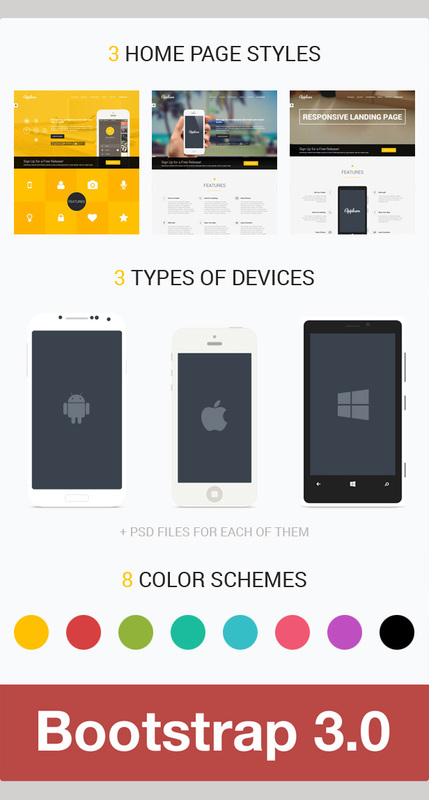 Applum includes PSD for Main (Yellow) theme, Layered PSD for all device images and is Documented so it will be easy for you to make it look as you wish! This template uses Bootstrap 3 framework so everything from Bootstrap works here fine. The html is commented and clean, it will be very easy to manage whole design and structure to match your vision. Note: All background images in this template are taken from Unsplash.com and are free to use. Pointer – landing page that’s designed in a clean style. It will tell users about your business’s advantages and objectives. Video file included (regular price – $5).